This is a busy week’s tour introducing you to the city and countryside life of Thailand. You can add some nights on at at a beach resort to relax. Enjoy a fun half-day cooking class, rounding off your lesson by feasting on your creations. 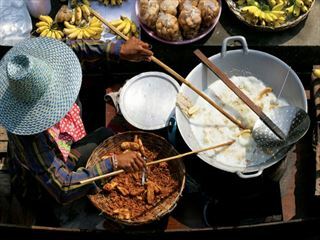 We visit serene Doi Suthep temple and lunch on Khao Soi soup, the north’s most famous dish. End your journey with an airport transfer for your onward travels. The weather information shown below refers to the first stop on the tour, call us and speak to one of our travel experts for the most up-to-date forecasts and weather details for your tour. 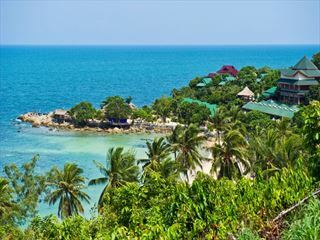 Share a family island beach adventure on the beautiful islands of Koh Samui and Koh Phangan. Stay in two luxurious family-friendly hotels, snorkelling in crystal-clear reefs, soaking up the sun on pristine beaches, and enjoying delicious food together. 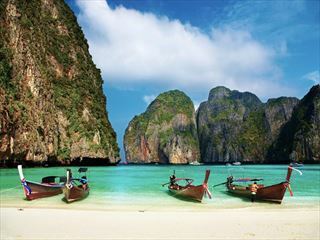 A 10 night holiday including three nights in Bangkok and a week on the beach, this is such great value and perfect for anyone looking for a simple, quick getaway to Thailand on a city and beach break.